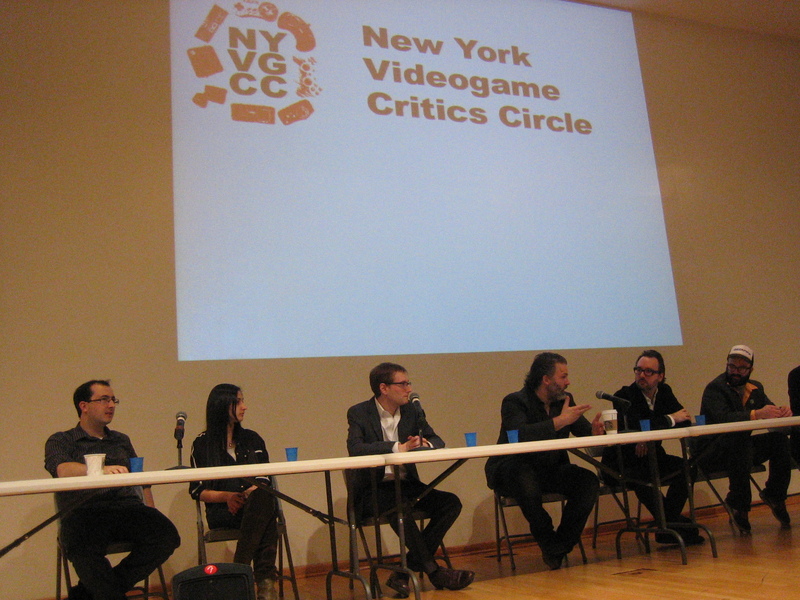 The evening began with a panel that included Evan Narcisse, Tina Amini, Jason Schreier, Chuck Moran, Scott Alexander, Dan Ackerman, and Russ Frushtick. 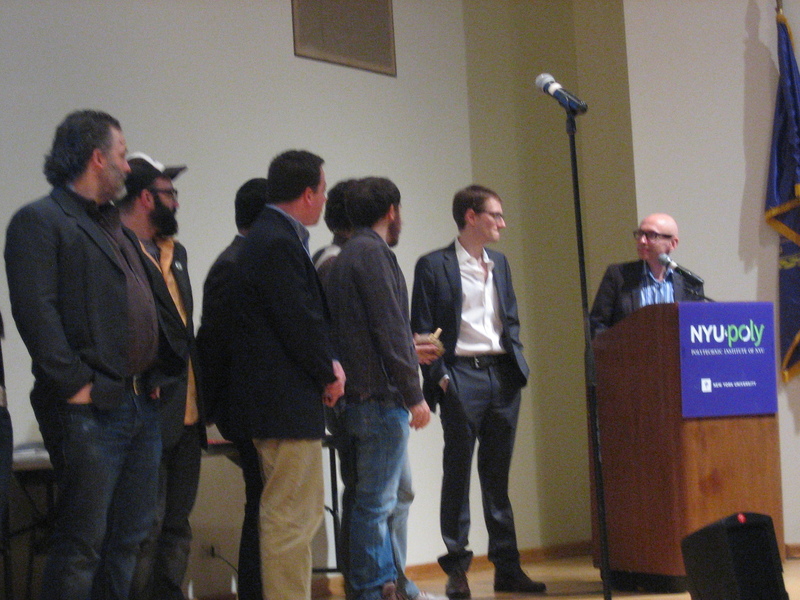 Moderated by Harold Goldberg, the seven New York City journalists discussed the highs and lows of this year’s titles and achievements, and speculated on the year to come. The one thing everyone seemed to agree on? They all can’t wait for BioShock Infinite. Daniel Radosh, the Emmy award-winning writer for The Daily Show with Jon Stewart, hosted the evening, delivering a wonderful monologue that poked fun at everything from serialized franchises–“After Halo 3 then we got Halo: ODST, Halo: Reach, Halo Wars, Halo Kitty…though I did think that last one was adorable…”– to the big business side of making games–“You can’t recover health by crouching down behind a $75 million dollar loan from Rhode Island.” Radosh also arguably won the unofficial “Best Dressed” category by sporting Clementine’s hat from The Walking Dead, complete with fake blood splatters. 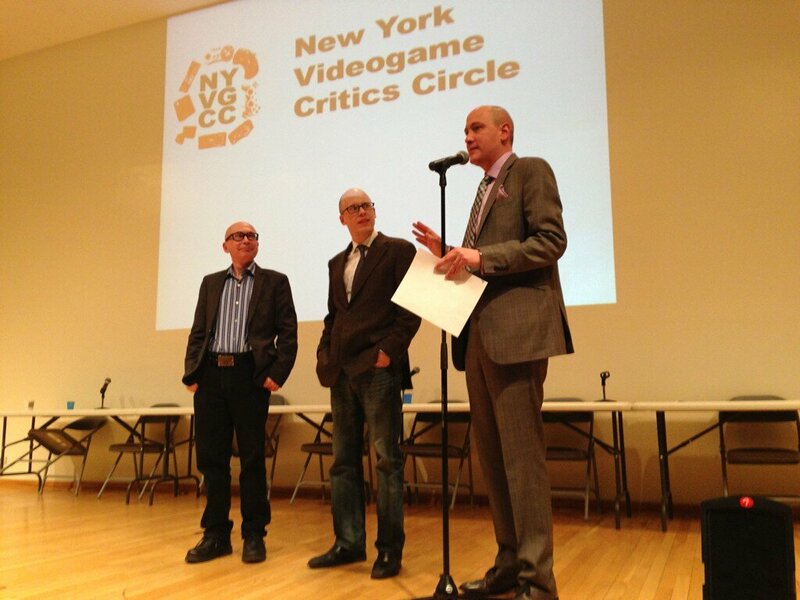 Other notable guests included Lev Grossman, author of The Magicians and Time Magazine’s book critic, whose brother Austin Grossman was nominated for Best Writing along with the rest of the Dishonored creative team. Acclaimed horror filmmakers Larry Fessenden and Graham Reznick were also able to take time out of filmmaking and developing their upcoming survival horror game Until Dawn to present the award for best voice acting. And Darren Korb, the composer for the 2011 New York Videogame Critics Circle Award winning Bastion, was there with his band Control Group to close out the evening at the after party. Thanks to the NYU’s Game Center for hosting us and to NYU-Poly’s Game Innovation Lab for providing the Pfizer Auditorium and to all the NYU students who came out to the show. We hope to see you next year with more. 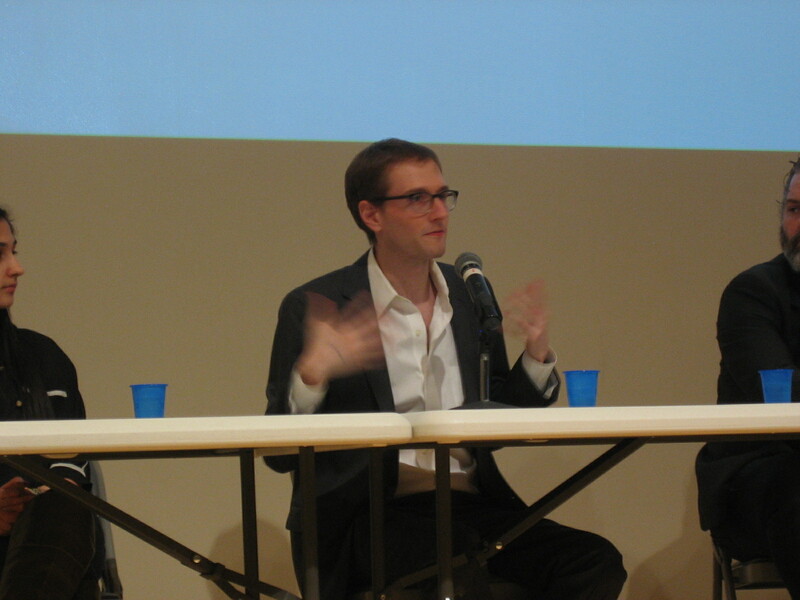 The illustrious panel holds court. Photo by Helen Pfeffer. The Circle takes the stage en masse for the Big Apple Award for Game of the Year. Photo by Helen Pfeffer. “If they ever do a Hitman reboot where Agent 47 is a geeky jew.” Harold Goldberg, Time’s Lev Grossman and The Daily Show with Jon Stewart’s Daniel Radosh. Photo by Logan Cunningham.